A new poll by Reuters/Ipsos has sought to find the answer to that most important of questions – which tech brands are the coolest? The responses, from a sample size of 853 young adults aged from 18 to 29, may or may not be surprising, that will probably depend upon if you are an average 18-29-year-old or not. The survey found that Microsoft’s cool ranking had grown over the last two years and now it ranks above the terrible-twosome of internet social networking - Twitter and Facebook. Historically Microsoft has managed to avoid coolness and been traditionally derided by youth for being grey, unimaginative and business focussed. So what has happened to change the perception of young adults? The Xbox 360 is a great success for the Microsoft and has been available for 6 or 7 years now. Many of the 18-29 age group will be familiar, if not fond of, this still in-demand games console and living room entertainment source. 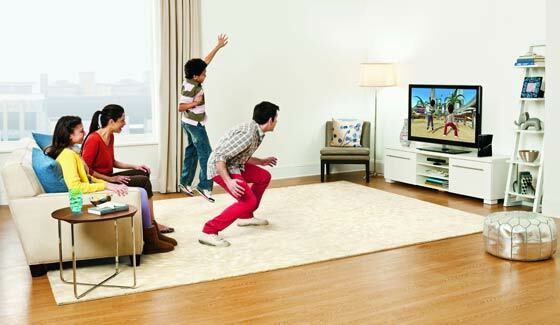 Reuters also suggests that the Kinect accessory has “burnished its image around younger consumers”. In addition the marketing blitz by Microsoft showing off the Surface tablets and Windows 8 might not have had the best results in terms of sales but succeeded in enhancing the brand’s coolness. Furthermore Windows Phone 8 has been heavily promoted using popular TV personalities in the US and UK which has probably been good for Microsoft’s acceptance as part of the cool cat club. Looking at the above table Microsoft must be wishing that its new coolness rating could be swiftly converted into sales in the hottest tech growth markets of smartphones and tablets. The latest figures from the global smartphone market show Windows Phone with just 3 per cent, Apple has 21 per cent and Google commands a huge 70 per cent of sales. 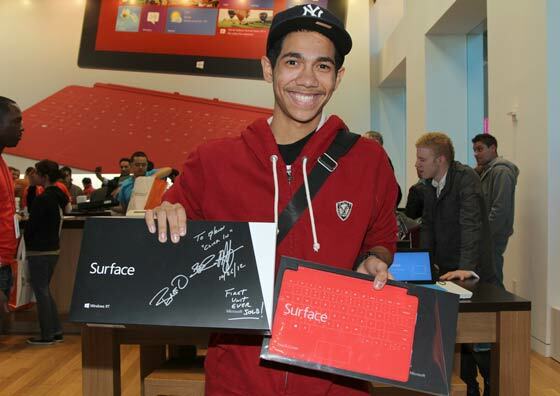 Similarly sales of Microsoft’s Surface aren’t even in the same ballpark as Apple iPads or Google Android tablets. In an interesting titbit of related news, only yesterday an industry analyst was quoted as saying that “Surface will come and go with not much trace of an impact” within the next six months. Well I'm 18 and I'd definitely say that Google deserves to top the “cool” league more than apple or any of the others do. But regardless: The sample size is minuscule, the concept of “cool” is incredibly vague, bordering on ridiculous, in fact its nearly an insult to the younger people simply by analyzing that we address everything based on how cool it is. It's also a silly scale because “cool” will never translate into sales. I know plenty of people who really want apple products, but they can't have them, and unlikely ever will, due to the extortionate pricing of all apple's products. Ok, “youth of today” rant over. I really don't understand why Google are regarded as so ‘cool’ these days. Pretty much none of their core markets are things that I'd regard as ‘cool’… office applications, email, search engines, advertising. There's nothing particularly cool about Google's hardware either - sales figures will back that one up. Android is ‘cool’ in some respects, but it's an operating system.. at the end of the day. How cool can an operating system be? I vote Google, just for how informal a huge company can be, but any measure of ‘cool’ is just bizarre. If cool was, in any way, truly important,all the chavs in the UK would go out and vote: then we would have a Prime Minister Ali G, bringing subsidised Beats and free data for unlimited Jeremy Kyle on the go. Cool should not apply to technology, just as it shouldn't to voting- the Monster Raving Loony Party might be cool, but I wouldn't vote for them. Cool doesn't even mean anything for sales- Ferraris are cool but they sell barely any of them.